These pants constitute a sort of actual order…. 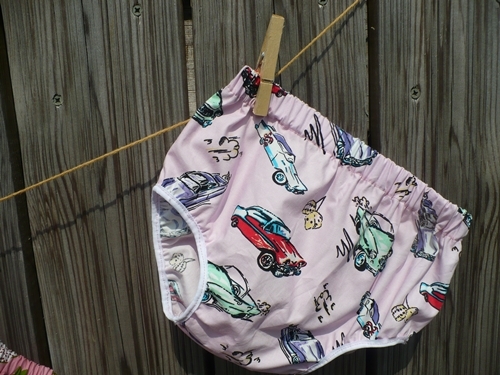 I made them with fold over elastic around the legs and added an inch or two to the top as the last lot came out a little short to cover a nappy properly. 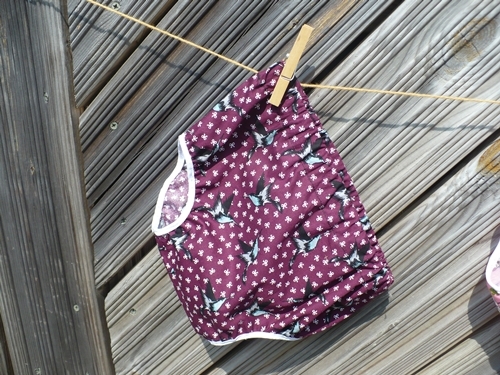 Looove the fabric, it’s chosen by the lovely Princess Baker as they are for her little girl! 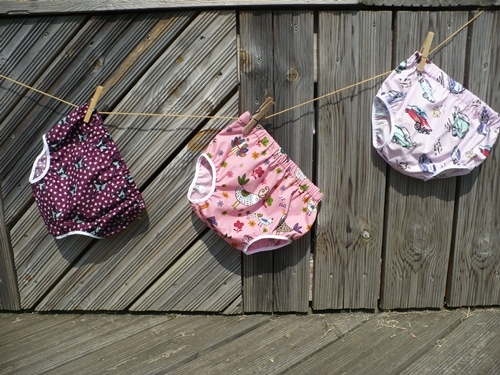 Here is the original nappy pants post if you want the pattern etc!